﻿The event will be held from April 7-9, 2016! Each event's time will be posted on the "Schedule" page of this website or you can click the "Date, Time, and Location" button below. The events of the competition will be spread out around the University of Nevada, Reno campus and other locations. The locations of where competitions will be held or to find out more about the Reno area, please go to the "Locations" page on this website or you can click on the "More About Reno" button below. In addition of everything you need for the competition, be prepared for some cold and warm weather! Reno's weather can change by the hour, so bring clothes that allow you to be ready for any situation, just in case. Don't forget to bring sunscreen! If the appropriate pages on the website couldn't answer your questions, send us an email! 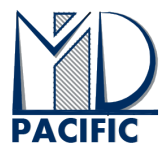 We are more than happy to assist you on being prepared for this Mid-Pac! We will be updating this website often with the official rules, time, and location of each competition.